A poster or placard or posted bill or banner is any piece of printed paper designed to be attached to a wall or vertical surface. Typically posters include both textual and graphic elements, although a poster may be either wholly graphical or wholly text. Posters are designed to be both eye-catching and informative. Posters may be used for many purposes. They are a frequent tool of advertisers (particularly of events, musicians and films), propagandists, protestors and other groups trying to communicate a message. Posters are also used for reproductions of artwork, particularly famous works, and are generally low-cost compared to original artwork. 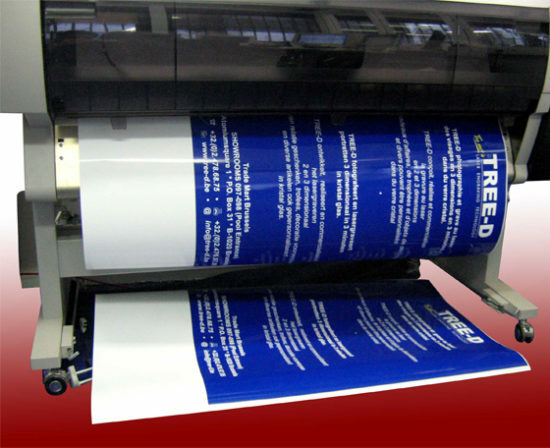 While most posters are mass-produced, posters may also be printed by hand or in limited editions. Most posters are printed on one side and left blank on the back, the better for affixing to a wall or other surface. Pin-up sized posters are usually printed on A3 Standard Silk paper in full colour. All dimensions are possible but de most commune ones are A2 (4 times a letterhead); A1 (8 times a letterhead), A0 (16 times a letterhead). 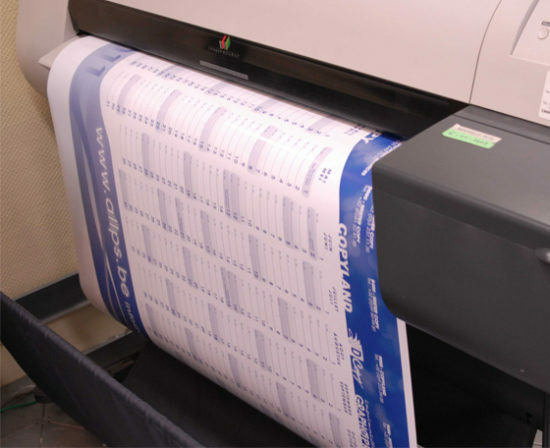 If the poster or placard or posted bill is printed digitally the length can be over 100 m long (a banner). Different supports can be used as paper or synthetic materials. A poster or placard or posted bill or banner van be printed digitally as of 1 item. The most common weights of digitally printed matter is 90 gr 130 gr 170 gr 200g and 300 gr. Digital photos (photographs) are usually printed on large format printers on glossy paper of 170 gr. 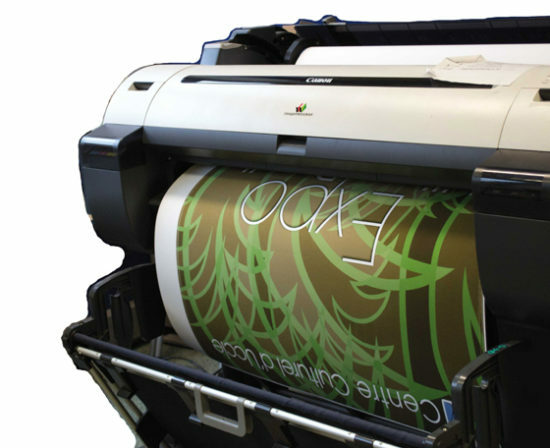 When mass-production is foreseen a poster or placard or posted bill is often printed in offset because it turns out that for higher quantities one pays a lesser cost a unit. Upon purchase, most commercially available posters are often rolled up into a cylindrical tube to allow for damage-free transportation. 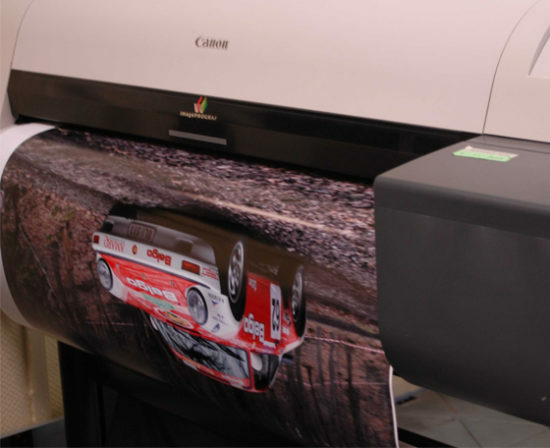 Rolled-up posters can then be flattened under pressure for several hours to regain their original form. 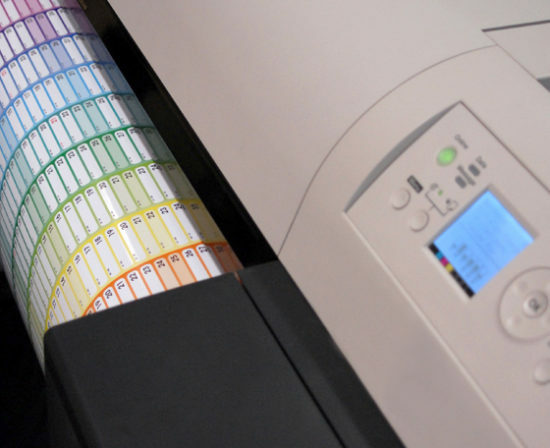 Most offset productions are done on glossy paper with a weight of 130 gr. One should take in account that an offset production has a production time of 5 working days.